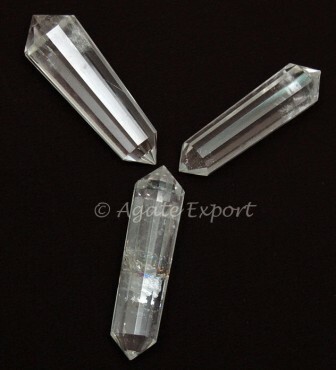 Crystal Quartz 12-Faceted Vogel Pencil Point by agate Export can help to alleviate any pain. Crystal quartz is known for its healing property. Also, it will make a good decorative item.